Located just west of Burnham Park and Lake Shore Drive on Chicago’s South Side, this 2.8-acre community park provides the centerpiece for Lake Park Crescent, a four block development of townhomes, mid-rise, and high-rise condominiums. 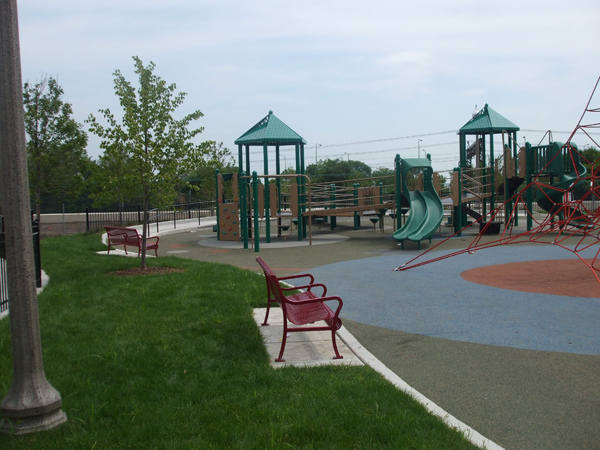 Bauer Latoza Studio developed the Landscape Master Plan for the development as well as the design and construction documents for the new park for the Chicago Park District. 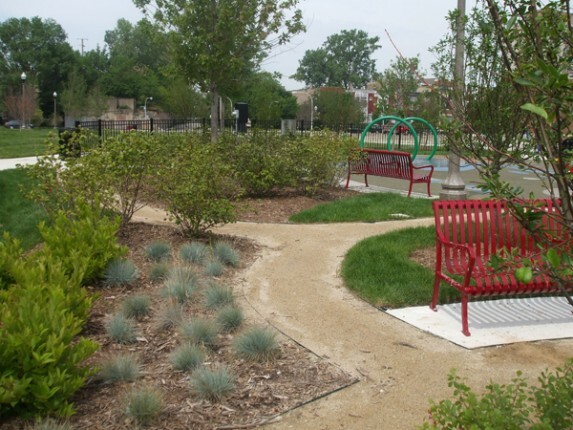 The design provides a neighborhood gathering place while accommodating a possible future ADA-accessible pedestrian and bicycle connection across Lake Shore Drive and the Illinois Central Tracks to Burnham Park on the Lake Michigan shoreline. The park design establishes a neighborhood character, encouraging pedestrian movement along the tree-lined streets through the park while also preserving residential views of Lake Michigan to the east. 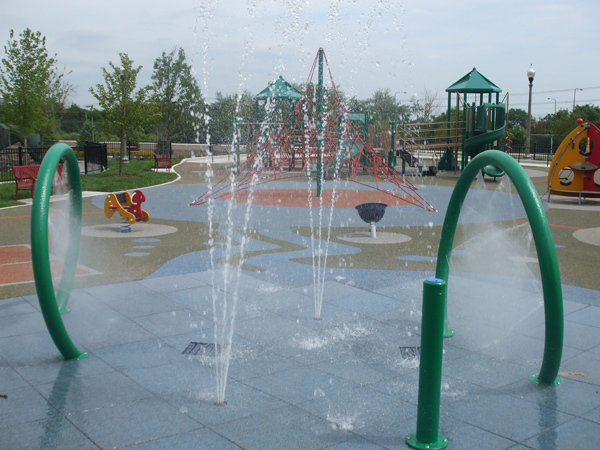 As lead designer, Bauer Latoza Studio was actively involved in the public participation process for the park planning. 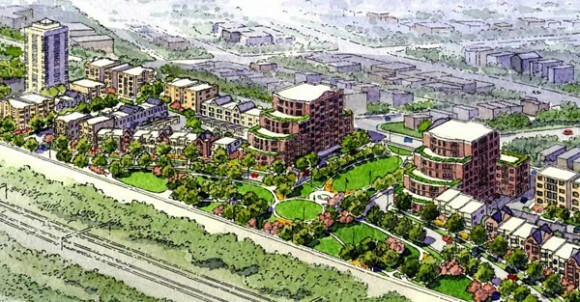 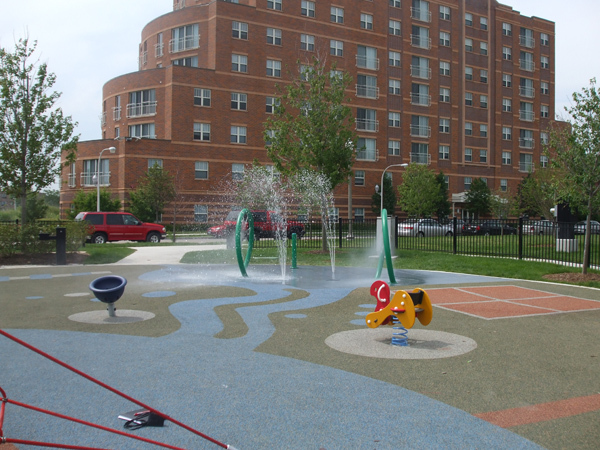 The park concept included elements to account for the neighborhood’s rich ethnic heritage, and established an identity as a place to celebrate art. Since the new development surrounding the park includes over 300 children in residence, the park design incorporates an educational and inspirational play area that includes a spray fountain and playground. 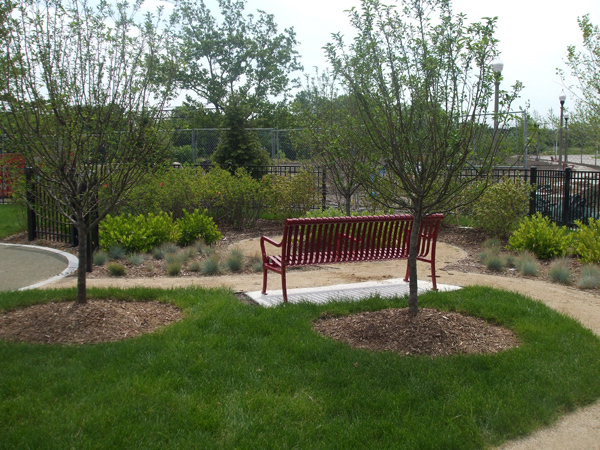 The planting design features native plants, bioswales, and a children’s educational butterfly garden.